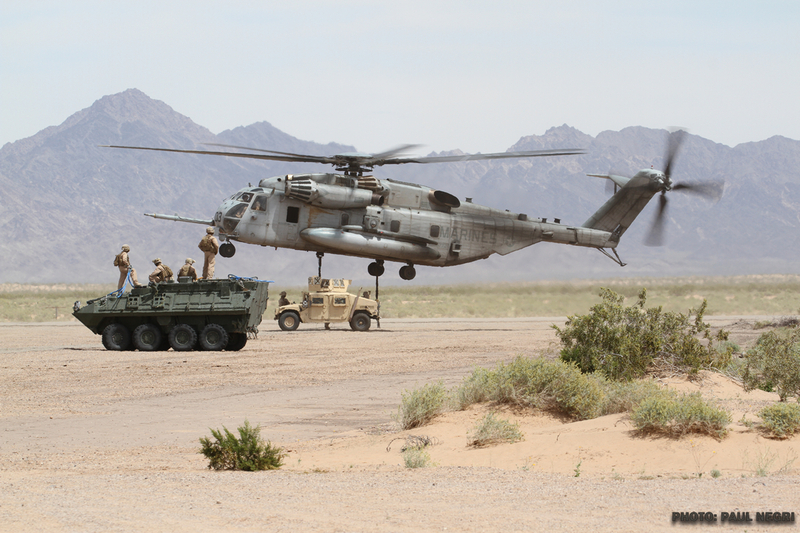 Twice per year the USMC Weapons and Tactics Instructor Course (WTI) is conducted by Marine Aviation Weapons and Tactics Squadron One (MAWTS-1) at Marine Corps Air Station (MCAS) Yuma. This seven week course is often compared to the U.S. Navy’s TOPGUN School or, the USAF’s Weapons School. Because the mission of the USMC is different, their approach to advanced aviator training is different than the U.S. Navy and the USAF. 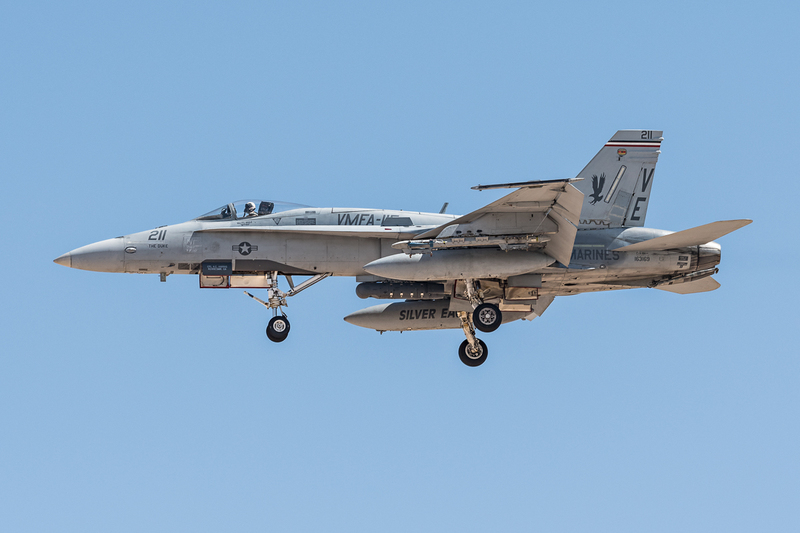 The purpose of WTI is twofold: to train the top pilots of the USMC so they can return to their units as experts (train the trainer,) while also developing and employing aviation weapons and tactics throughout the course. 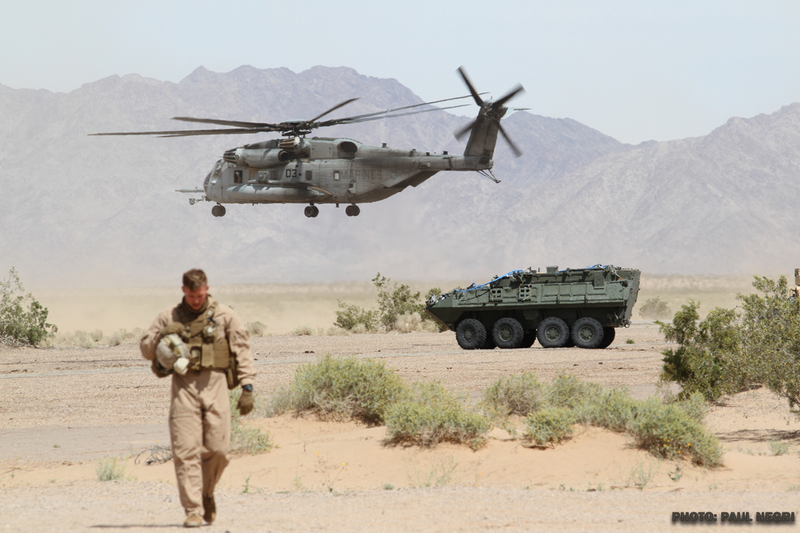 The course consists of classroom training combined with exercises in the form of “events” that encompass the six functions of USMC aviation (Assault Support, Anti-Air Warfare, Offensive Air Support, Air Reconnaissance, Electronic Warfare (EW) and Control of Aircraft and Missiles). 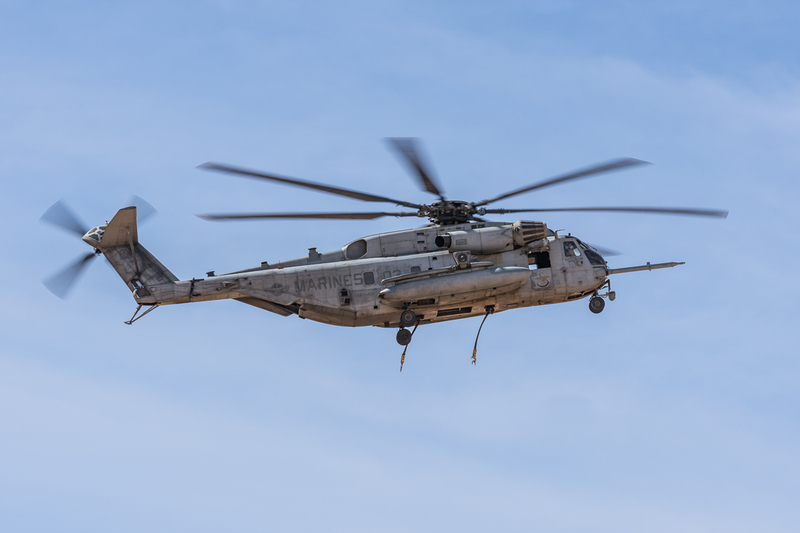 Officers within all elements of Marine aviation take part in WTI in addition to the valuable experience gained by the support crews throughout the course. The course begins with the academic phase with approximately three weeks in the classroom, then evolves to the flying phase where missions are planned and executed within designated “events,” ending with the culmination of both phases during the last week of WTI in the form of FINEX. FINEX-1, FINEX-2 and FINEX-3, which take place every other day during the final week with a day for briefing/debriefing in between. 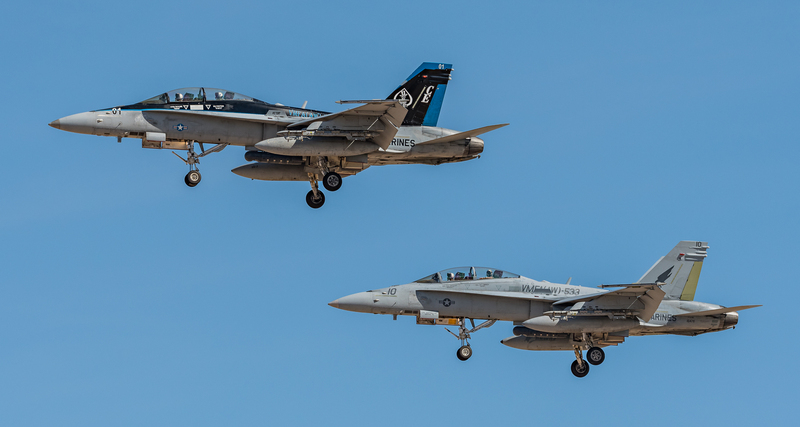 The current and future MAGTF will utilize the concept of Distributed Aviation Operations (DAO) which, according to the 2017 Marine Aviation Plan, the concept consists of: “The aviation combat element (ACE) of the Marine Air Ground Task Force (MAGTF) has the ability to conduct distributed aviation operations (DAO) in support of land and/or naval campaigns. 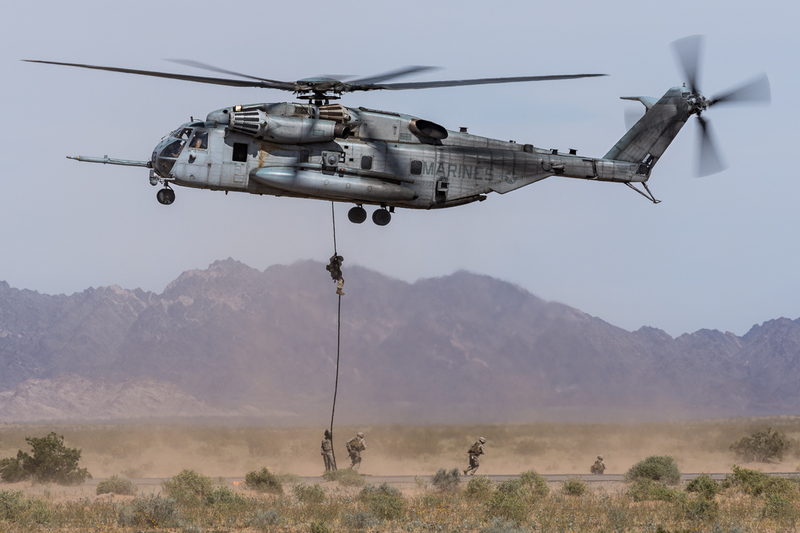 DAO is a task organized MAGTF operation, employing ACE aircraft in a distributed force posture, independent of specialized fixed infrastructure. 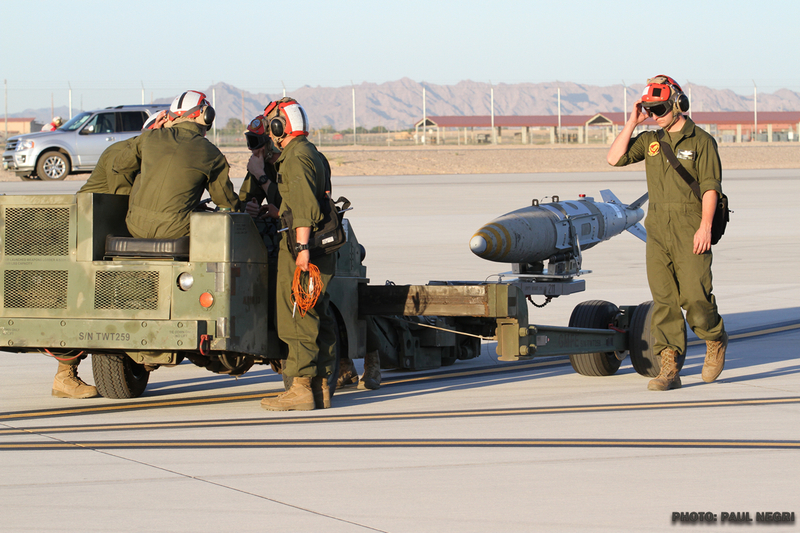 Doctrinally, the ACE conducts these types of operations from four types of forward operating bases (FOBs): main air base, air facility, air site, and air point.5 FOBs are classified in relation to their size, location, and characteristics in the form of airfield services, logistical supportability, and maintenance capability. 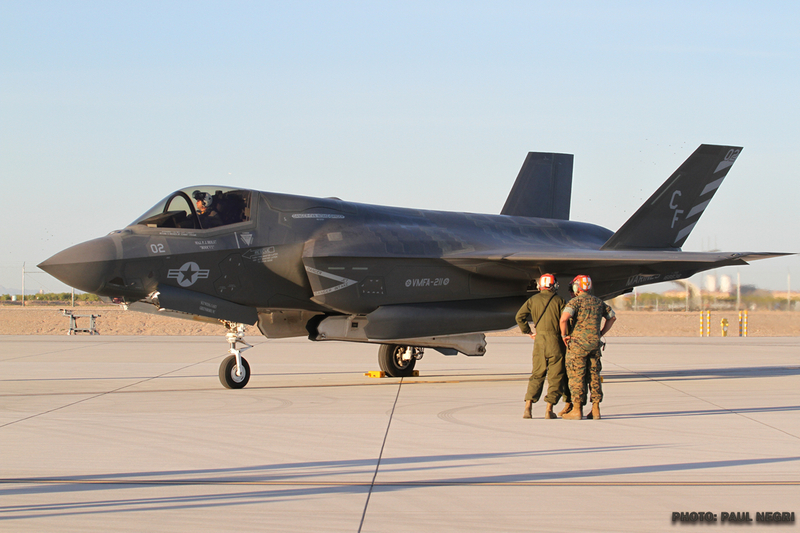 According to Maj Daigneault, the F-35B was fully integrated into WTI 2-17. 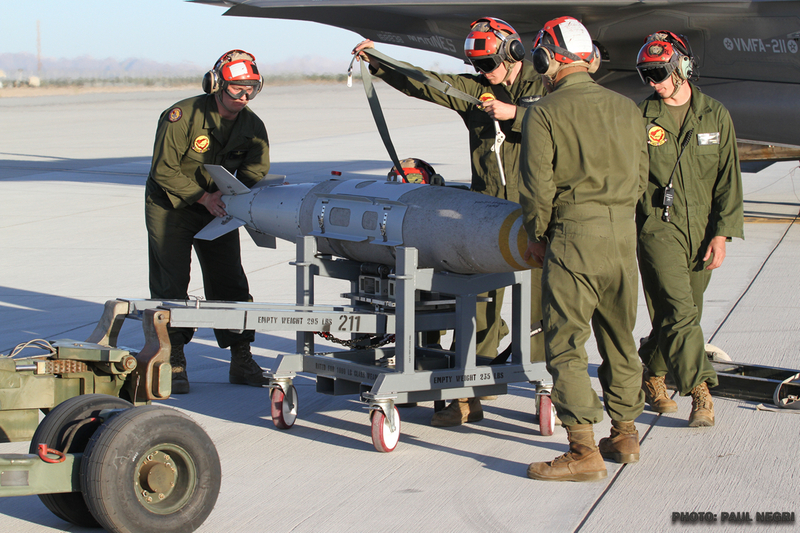 This included the use of live ordnance (The GBU-12 Paveway II and GBU-32 Joint Direct Attack Munition (JDAM)). 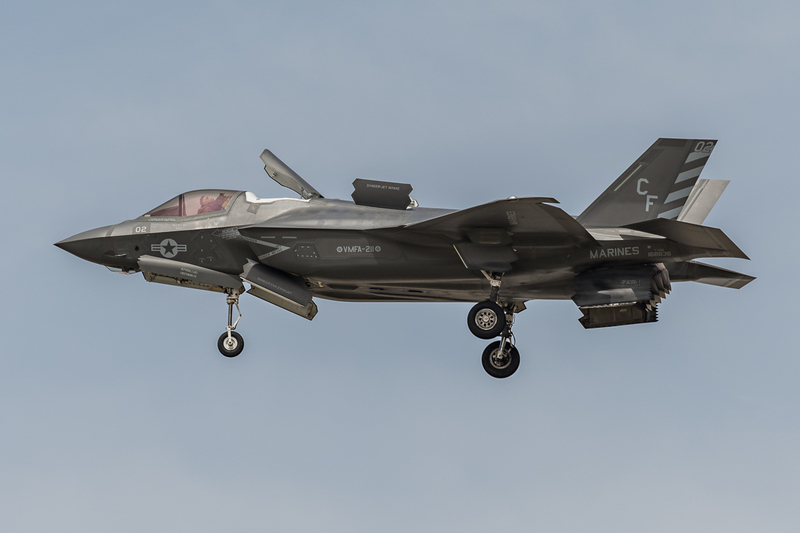 Examples of new events for WTI 2-17 that featured the F-35B included the F-35 Distributed STOVL Operation (DSO) event with MV-22 and the F-35 and HIMARS interaction, Maj Daigneault told APD. 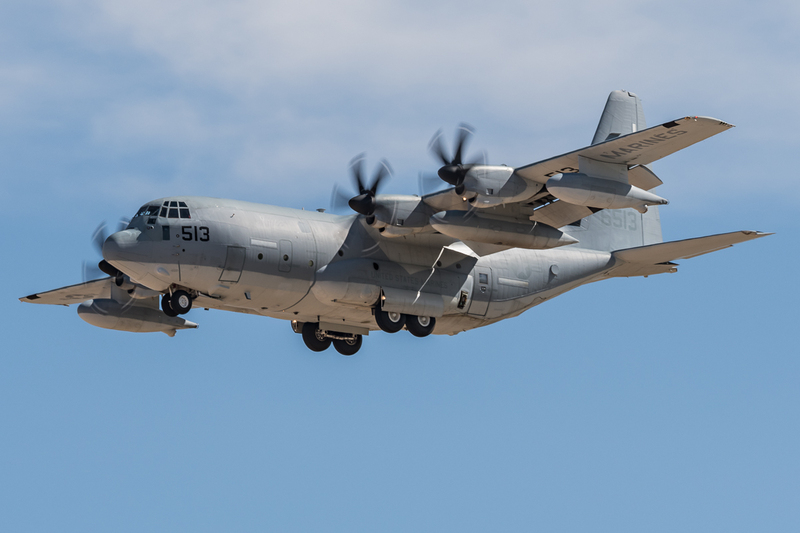 As stated by the USMC, one DSO event involved “the first independent Distributed STOVL Operation (DSO) by flying all ordnance, personnel, and fuel in on mission aircraft. 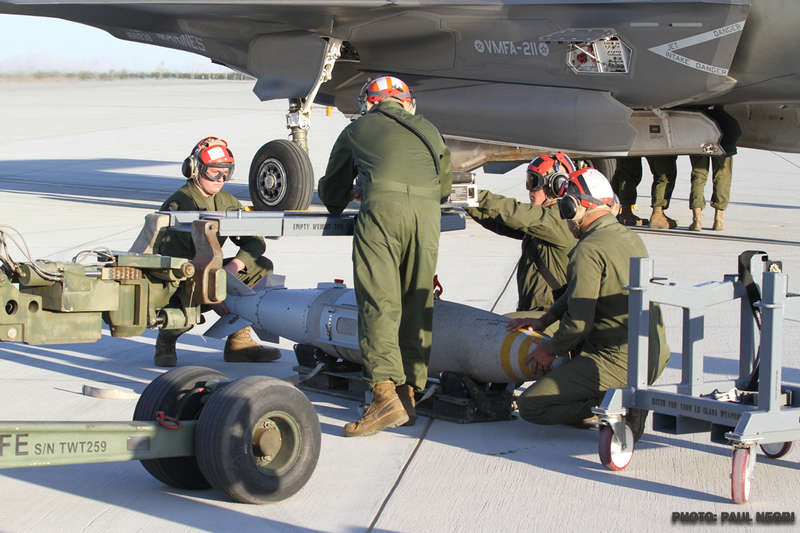 Marines employed the manual drive assembly to load all up rounds using a short airfield for tactical support (SATS) loader.” As a part of the this DSO event, GBU-12s and GBU-32s we “hot loaded” into the F-35Bs internal bay. 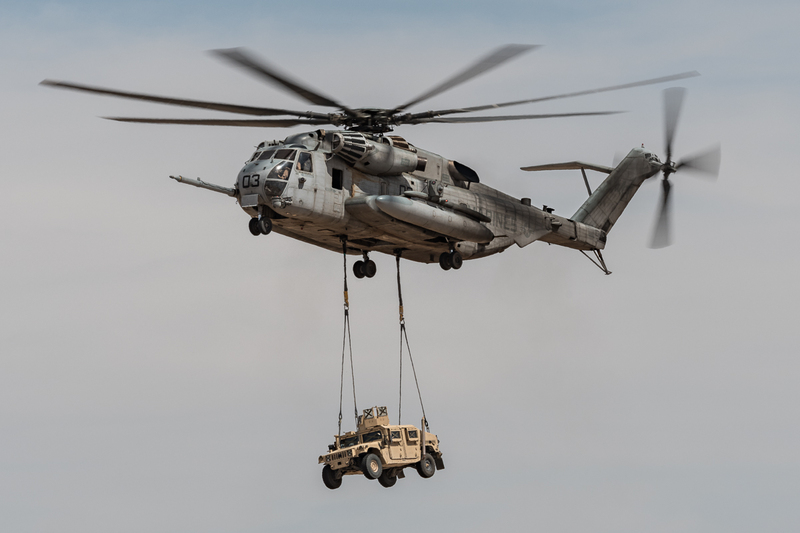 When one thinks of USMC heavy lift images of the largest and heaviest helicopter in the United States military, the Sikorsky CH-53E Super Stallion, come to mind. 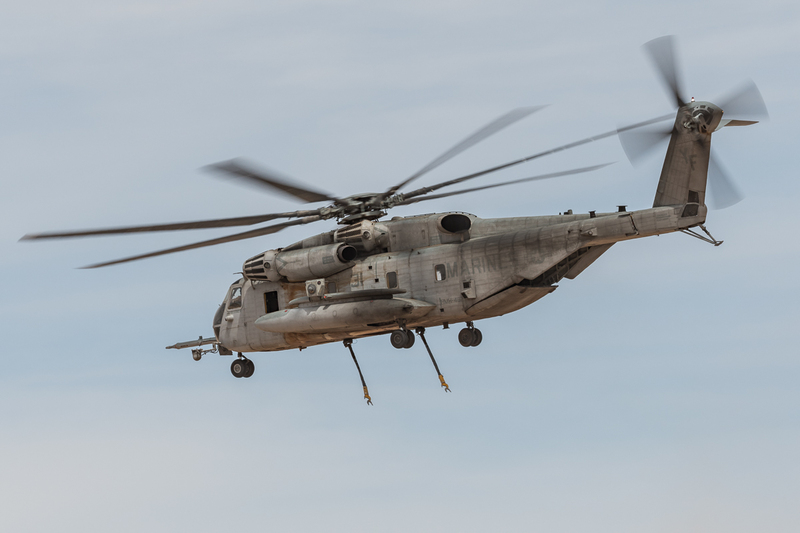 With the nickname the “Hurricane Maker,” the Ch-53 is the USMC’s primary lift helicopter with the capability to transport Marines and supplies and be configured as a gunship as needed. 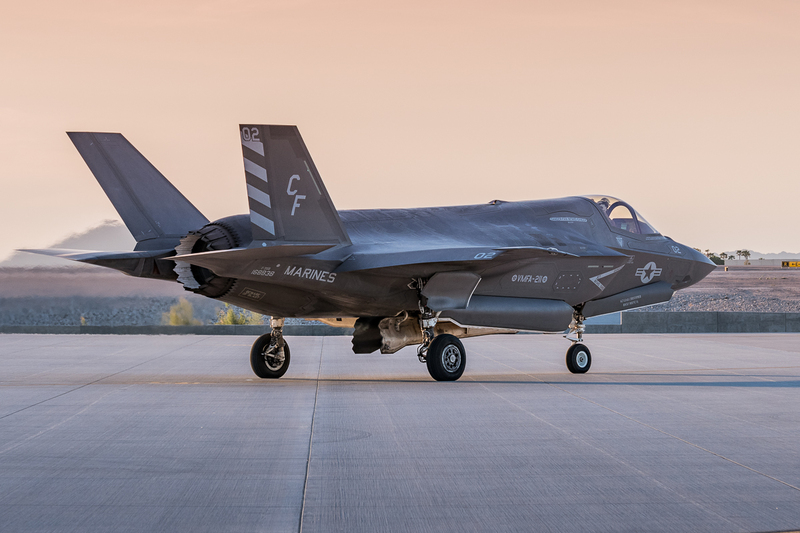 With a range of 621 mi (1,000 km), cruising speed of 173 mph (278 km/h) and a maximum speed of 196 mph (315 km/h) combined with the ability to carry 37 Marines (55 with centerline seats installed), an internal payload of 30,000 lbs (13,600 kg) and an external payload of 36,000 lbs (14,500 kg), the CH-53E has become the workhorse of the USMC. 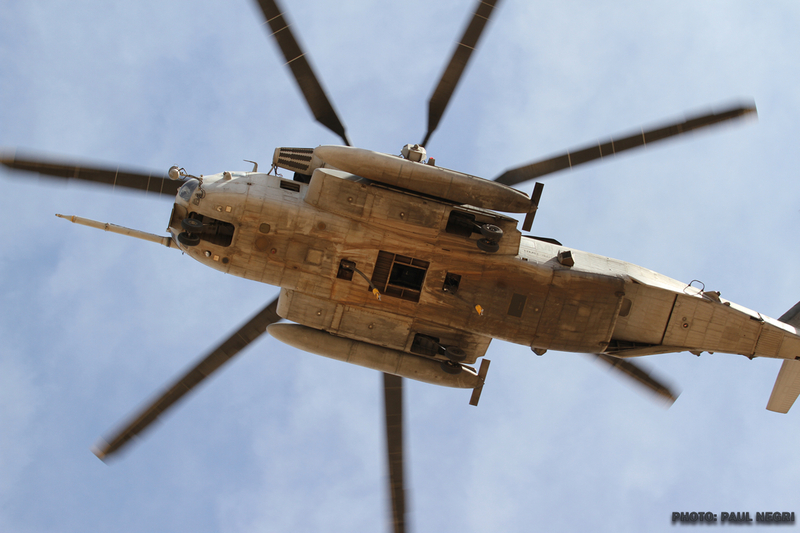 Whether used in combat or for humanitarian assistance the CH-53E has shown its value over the last decade. With only 146 in the current inventory there is tremendous anticipation for the next evolution of the CH-53, the CH-53K King Stallion. 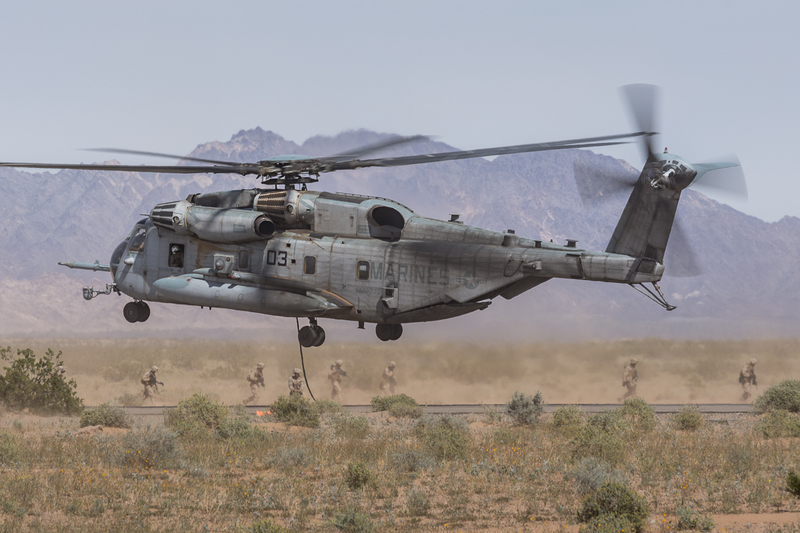 The USMC’s goal is to procure 200 aircraft with the transition to the CH-53K beginning in FY-19. Marine Heavy Helicopter Squadron 366 (HMH-366) “Hammerheads” are slated to be the first operational unit to fly the King Stallion. 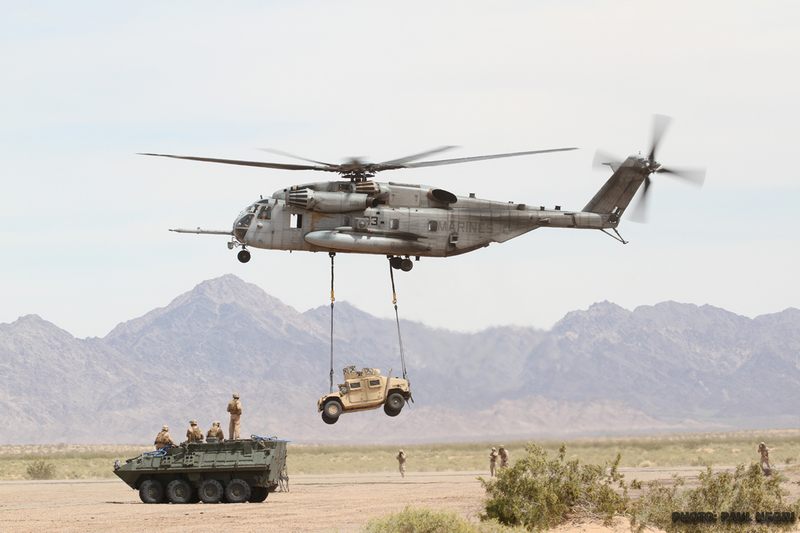 With the CH-53 playing such an important role in the USMC it makes sense that many of WTI’s events incorporate the CH-53. 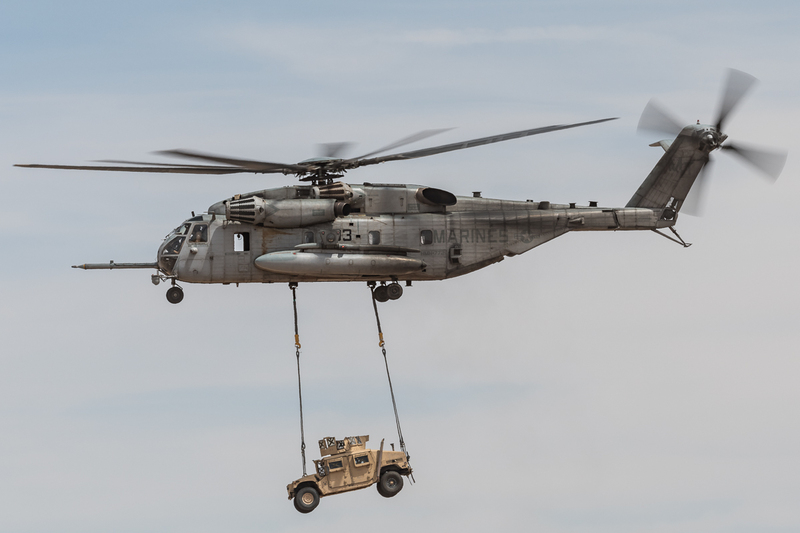 Events including CH-53 tactics (external lifts, fast roping & more), battle drills, along with the Non-combatant Evacuation Operation (NEO) exercise and others. The NEO event takes place from multiple staging areas including Kiwanis Park, a public park in Yuma. 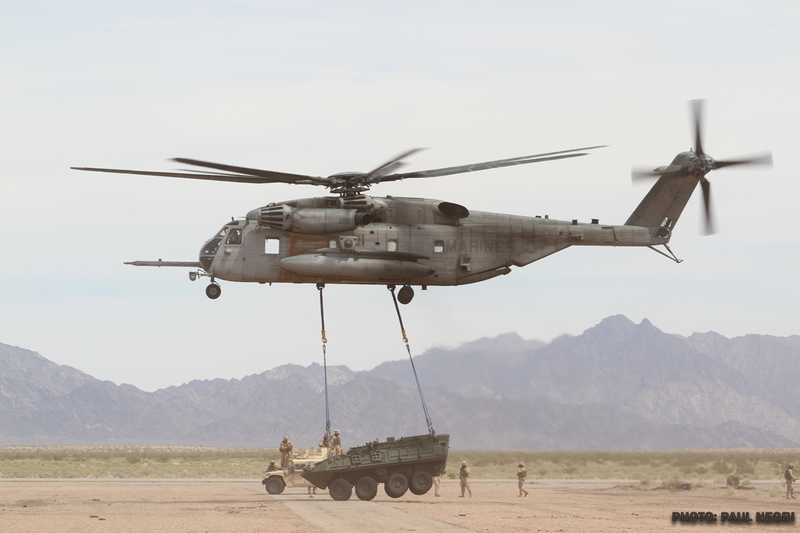 This event provides a unique experience for the public to see the USMC and the CH-53 in action. 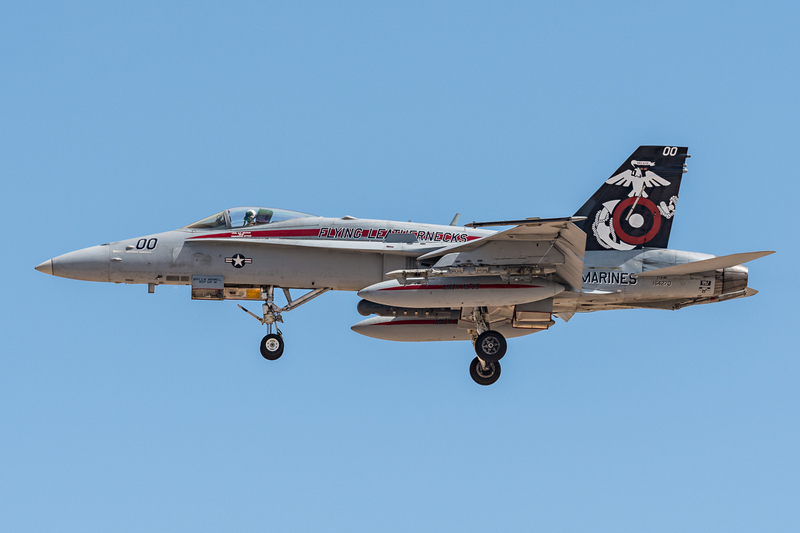 While we draw closer to the USMC sundown of the Northrup Grumman EA-6B Prowler, one can appreciate the Marines still utilizing the Prowler for WTI 2-17. 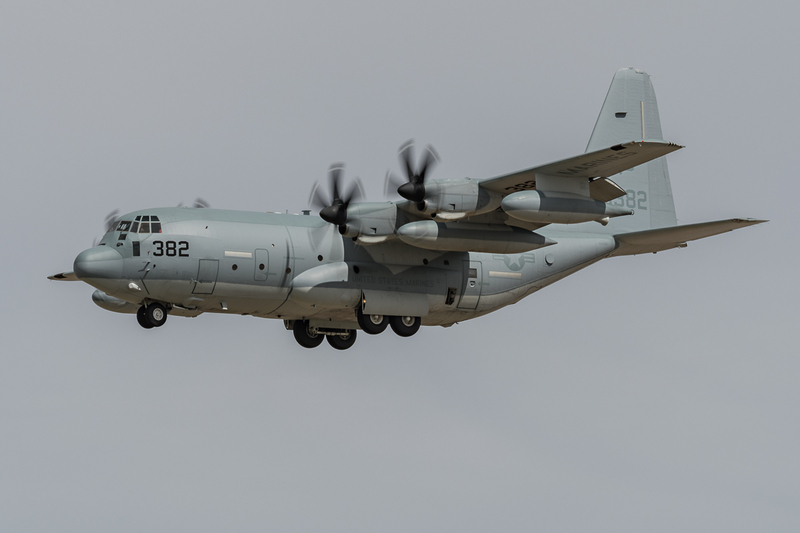 The Prowlers utilized during WTI 2-17 were from Marine Tactical Electronic Warfare Squadron 4 (VMAQ-4) “Seahawks”. VMAQ-4 is schedule to deactivate June 2017 so this was one of the last opportunities to see them fly. 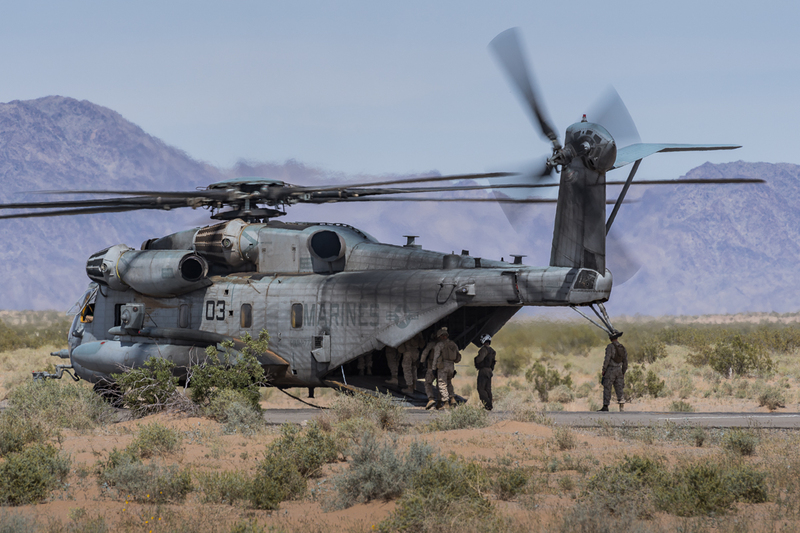 As the USMC upgrades its airframes with newer technology, MAGTF EW is expected to evolve towards full realization. 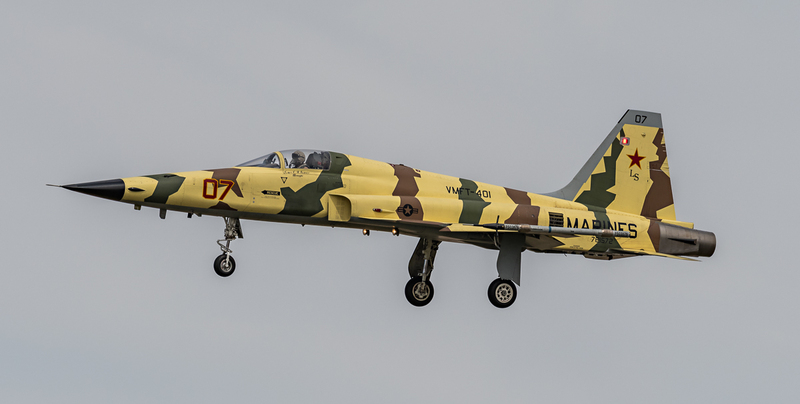 MAGTF EW will be accomplished by the addition of the AN/ALQ-231 Intrepid Tiger II (IT II) pod on most aircraft. In addition, unmanned aircraft systems (UAS) such as the Boeing Insitu RQ-21 Blackjack are to play an important role in MAFTF EW in the future. 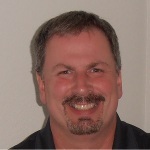 Battlefield technology is constantly evolving, the growing complexities of the battlefield domains of air, ground, cyber and space will present challenges for today’s warfighter. 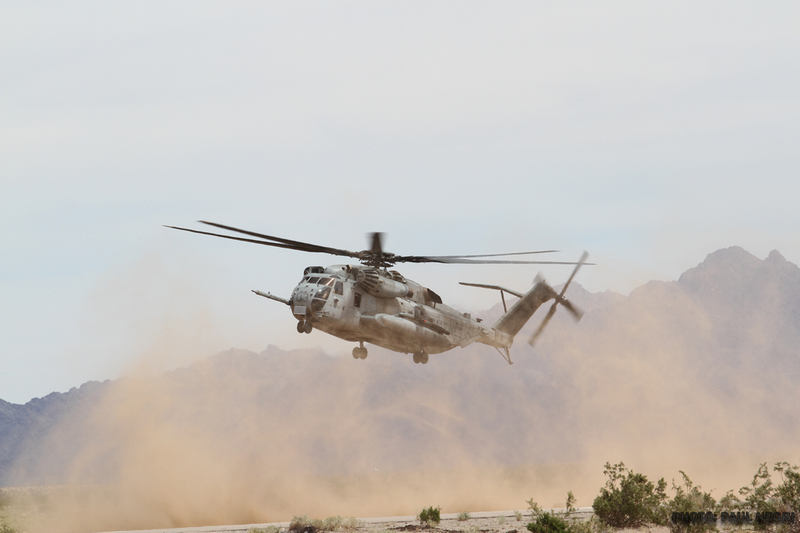 MAWTS-1 continuously evolves WTI academic curriculum so the USMC aviator can be prepared to meet these challenges. 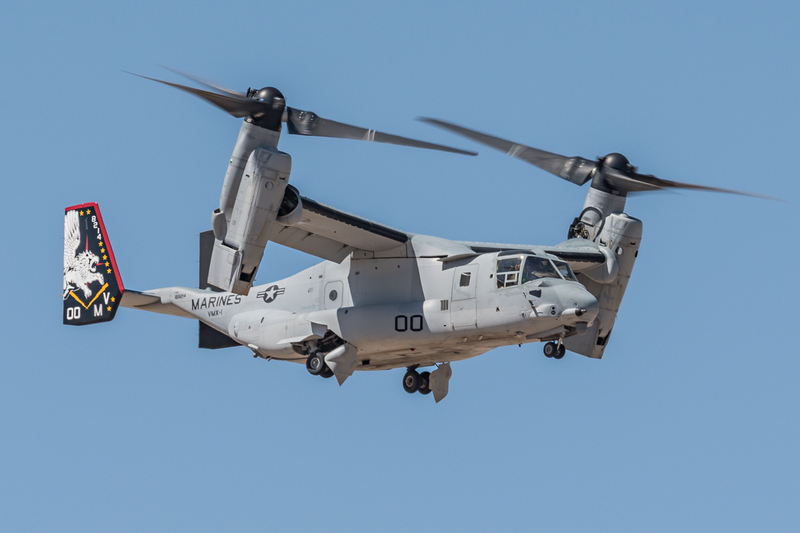 The USMC is continuously looking for creative ways to incorporate newer aircraft such as the F-35 and MV-22 into an efficient but highly effective battle package. The training, development and experience comes from MAWTS-1 and its Marine Corps Weapons and Tactics Instructor Course. The program ensures a high level of readiness for years to come.